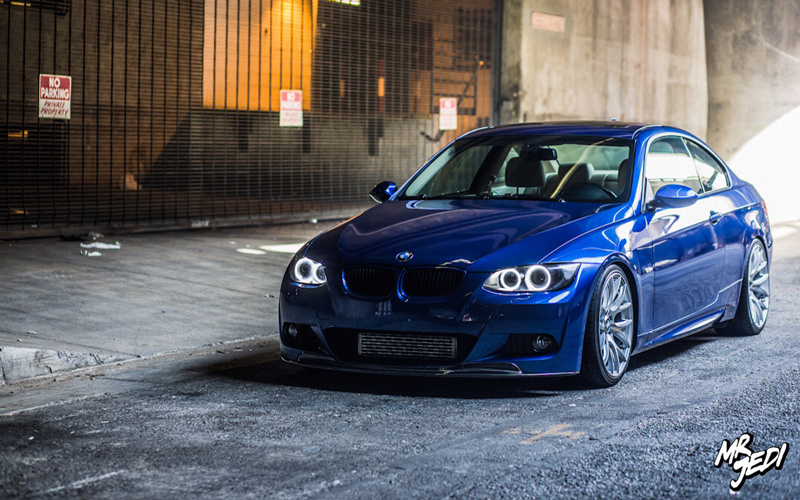 Customer Vince Tran has transformed his BMW 335i with a little help from the Modification Experts at ModBargains. 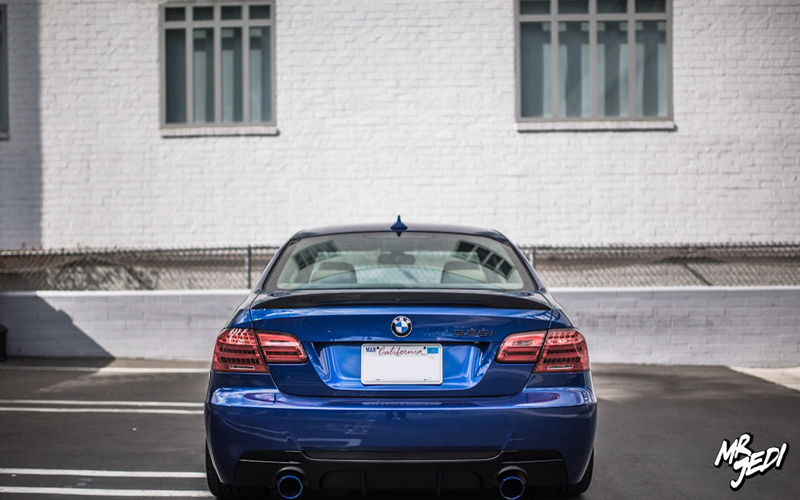 Over the past year and a half, Vince Tran has been coming to ModBargains to tailor his already-gorgeous Montego Blue 335i to his exact taste and style. Tailored is precisely the right word, everything on the car makes a difference, and it does it with all the class of a designer suit. Vince knew of the experienced staff at ModBargains, and got in touch with Senior Modification Expert Alan Wei to get his transformation started. 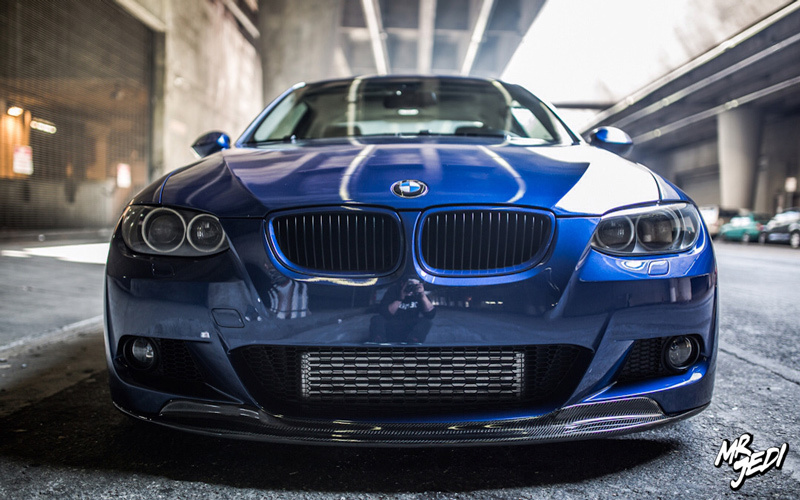 The sleek lines of this E92 are complimented by an M-Tech Front Bumper, M-Tech Rear bumper with M3 style Side skirts for a really clean ensemble. 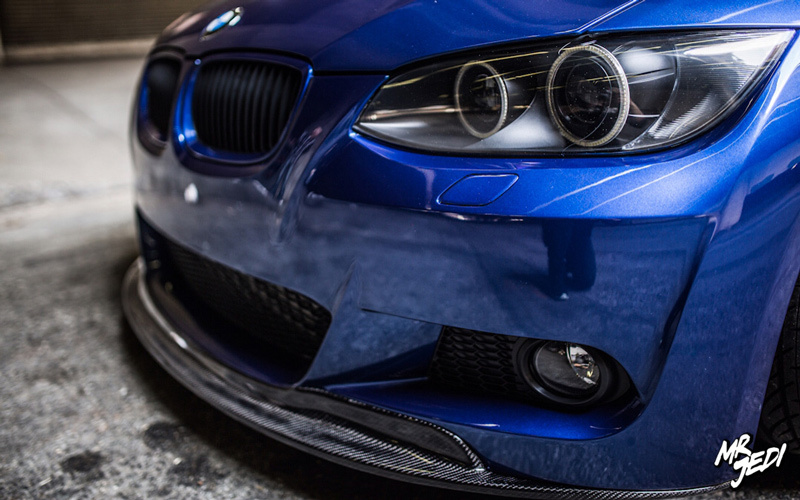 Further accenting its appearance and adding just a touch of aggression is a Carbon Fiber CPS front lip out front, tying in the simple and clean Montego Blue, Black and Carbon Fiber color palate. That same color pattern is repeated with painted kidney grilles, matte black window trim and blacked-out badging. 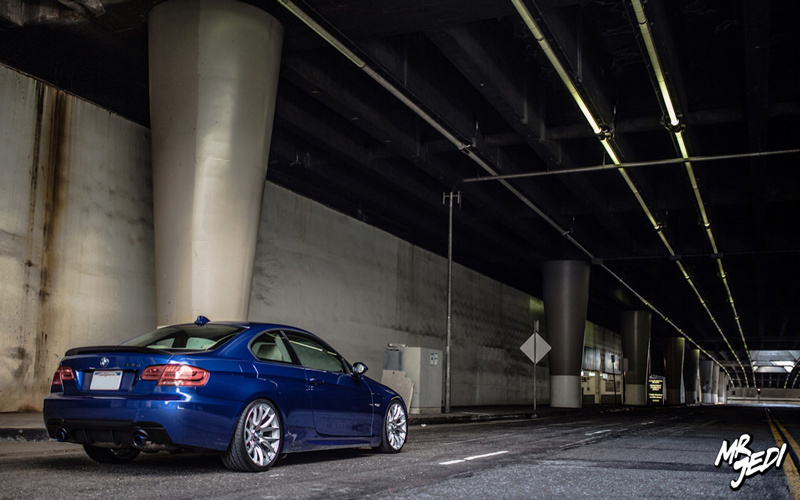 Setting off the look of the diffuser is a set of Cyba 3.7″ Titanium blue burnt tips, one of the finest offerings in BMW exhaust. 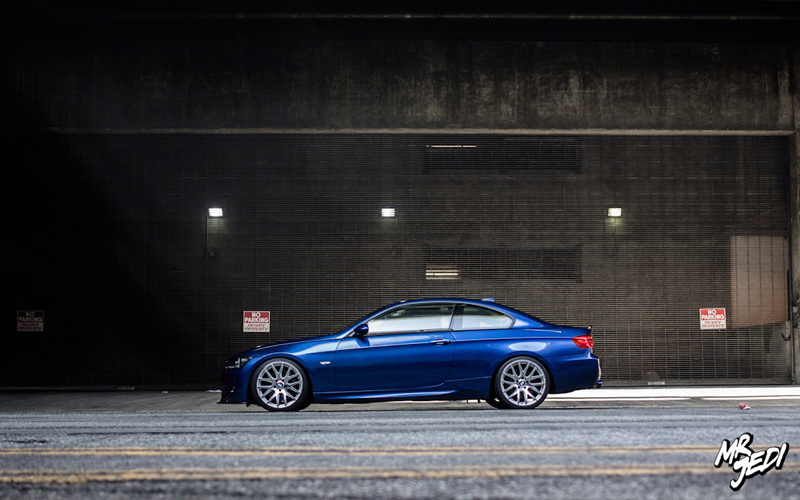 Completing the car’s overall look is a set of LS3 V3 Angel Eye headlights with fully blacked out housings, a set of OEM BMW LCI Tail Lights, full LED Interior conversion with LED plate lights and a set of GP Thunder 7500k Cornering Lamps and 7500k Fog lamps. 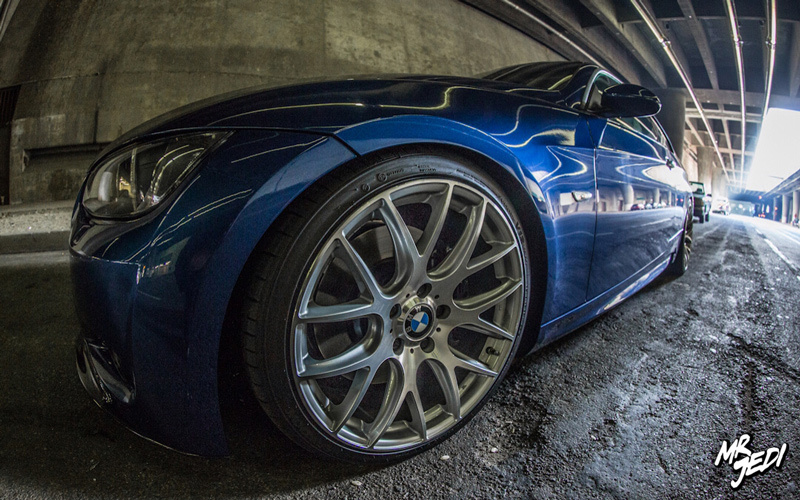 The car isn’t all show and no go – far from it. 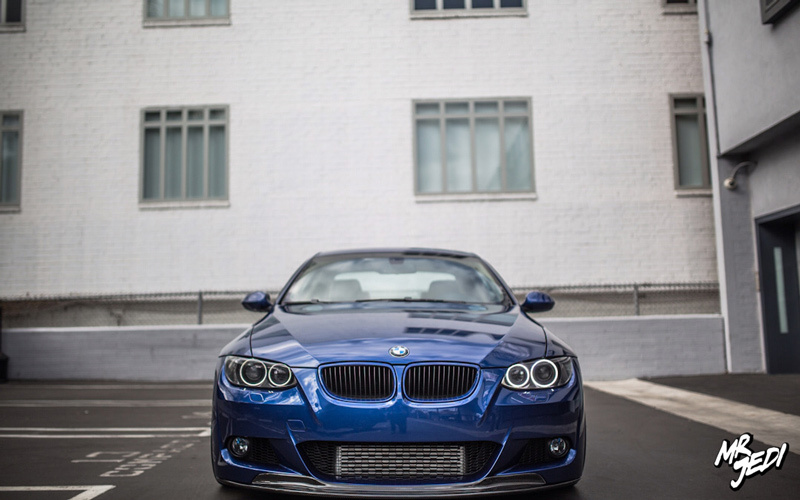 The 335i’s already beefy powerplant boasts a VSRF 7″ Front Mount Intercooler to keep intake air temperatures down and a Tial Q Blow off Valve, fed by an Injen Dual Cone Intake and an Evolution Racewerks Charge Pipe, while a BMS Oil Catch Can keeps the oil mist out of the intercooler, keeping response crisp and sharp. To get the most out of your bolt on modifications, you need a tune to match, and so of course, a Cobb Tuning Accessport with a Stage 2+ Flash tune manages it all. Finishing off the overall package, Vince got wheels for BMW E92 right here, choosing a set of Miro 111 wheels for BMW with 19×8.5 ET35 up front and 19×9.5 ET33 out back, wrapped in a set of Hankook Ventus V12 (235/35ZR19 & 265/30ZR19 rears) with Macht Schnell 5mm wheel spacers. 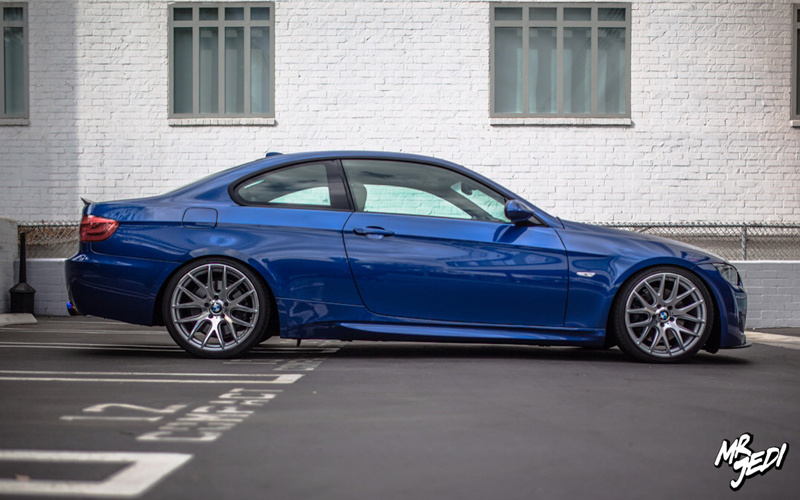 Enhancing the stopping power of these BMW Brakes is a set of StopTech “blank” (undrilled, not slotted) rotors, and enhancing the handling of the ultimate driving machine is a set of ST Coilovers – an excellent choice in BMW suspension– which also lend to this beauty’s perfect stance. OMG in love with this…. was any guard work needed to fit the wheel specs??? Also im wanting to also do the led tail light conversion what was required??? I know coding is needed? ?